Welcome to the Fruit Farm. A peaceful and sunny retreat, home to many happy fruits, Old Farmer Jack and Rocky the Raccoon. But hard times hit the Fruit Farm and when Old Farmer Jack could no longer make ends meet, Megafruit Corp offered to buy out the farm. Having no choice, Farmer Jack agreed. Little did he know that Megafruit Corp planned to turn the beautiful orchard into a mechanized and noisy Fruit Factory. While there is nothing Farmer Jack can do now, he is not the only inhabitant of the farm. Join Rocky the Raccoon and the Happy Fruits as they fight to thwart the corporate plans and restore peace to their Fruit Farm. 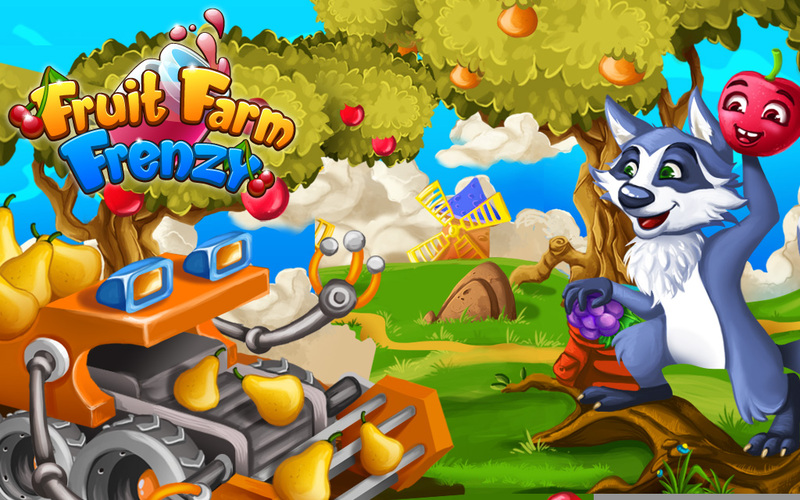 Give in to the Fruit Farm Frenzy today!